Hibernate is an ORM tool that automatically maps your domain object to the relational database. It helps to developers to quickly write database access program and become productive. 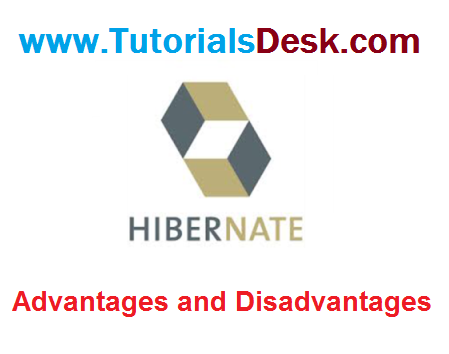 But we will see the advantages and disadvantages of Hibernate ORM tool. Java developers of all over the world is mostly using Hibernate or JPA (with Hibernate) for developing enterprise web applications. There are lots of material and tutorials on Hibernate on the web. As a developer if you are stuck some where in your programming, you can easily find the solution of your problem on the web. Hibernate is better then plain JDBC: You can use Hibernate which generates the SQL on the fly and then automatically executes the necessary SQL statements. This saves a lot of development and debugging time of the developer. Writing JDBC statement, setting the parameters, executing query and processing the result by hand is lot of work. Hibernate will save all tedious efforts. Mapping of Domain object to relational database: Hibernate maps your domain object with the relational database. Now you can concentrate on your business logic rather than managing the data in database. Layered architecture: Hibernate is layers architecture and you can use the components as per your application need. JPA Provider: Hibernate can work as JPA provider in JPA based applications. Standard ORM: Hibernate is standard ORM solutions and it also supports JPA. Database Independent: Hibernate is database independent and you can use any database of your choice. Caching Framework: There are many caching framework that works with Hibernate. You can use any one in your application to improve the performance of your application. Not suitable for Batch processing, It advisable to use pure JDBC for batch processing.